You may receive updates from Ruben Major, the sponsor of this petition. If accountability in our voting systems is important to you, please take action by signing this petition. And together, let's demand that our elected officials protect our voter registration rolls from further "glitches." “Running with Ruben for Major Change"
The problems occurring in this June's Primary Election, including the 100,000+ voters in more than 1,500 precincts who were unjustly removed from the voter registration rolls, are unacceptable. We need to have a real solution which adequately protects our elections now and moving forward. We want fair, honest, and transparent elections. We are concerned about the impact that glitches, errors, and mishaps in our voter registration rolls have on our elections. 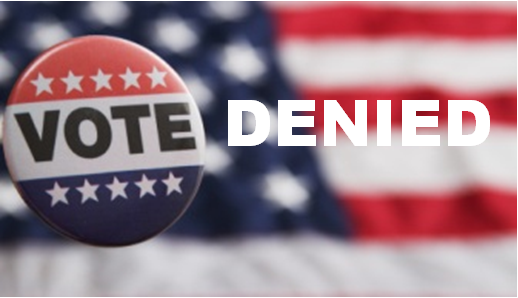 As we have seen problems related to the purging of voter rolls and voter registration changes throughout the country in recent years, we demand that you take immediate action to protect our voter rolls from any future problems. We are not satisfied with any answer that does not actually address the problem and we are not satisfied with non-action in this case.